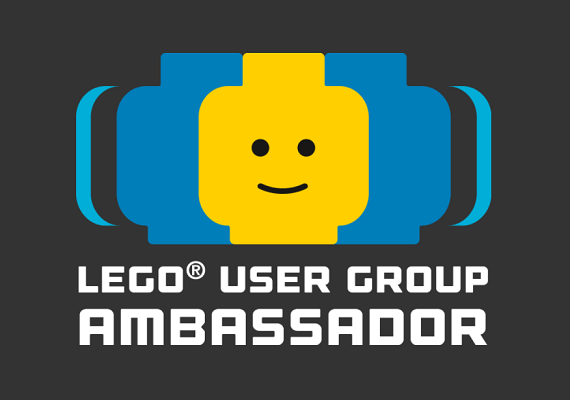 Following the huge success of the LEGO® MINDSTORMS platform, back in 2017 the LEGO Group launched a brand new programmable platform called LEGO BOOST. The system is built around a Move Hub and includes various powered elements and sensors, which allow for numerous build combinations. The system is controlled with a companion app, that uses code blocks to create simple routines and motions. 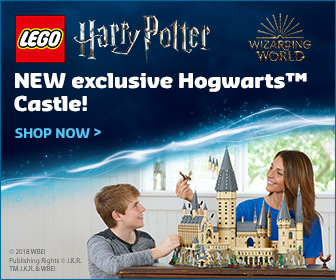 Beyond the Creative Toolbox, BOOST elements can be built into a small number of other LEGO sets including the NINJAGO Storm Dragon and the Creator Expert Roller Coaster. 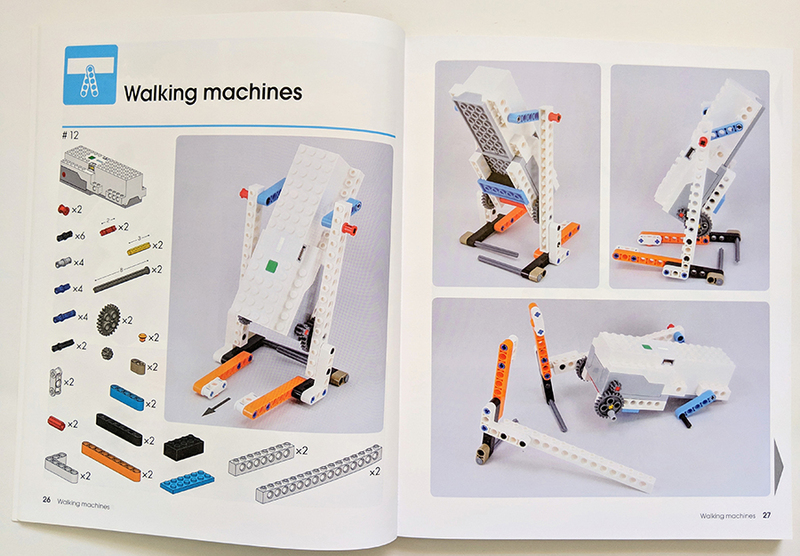 Unlike MINDSTORMS, LEGO BOOST has really be showcased beyond what LEGO have offered, but thanks to these two new LEGO titles from No Starch Press, you can get even more out of your Creative Toolbox set and be inspired to create and code your own impressive functional builds. 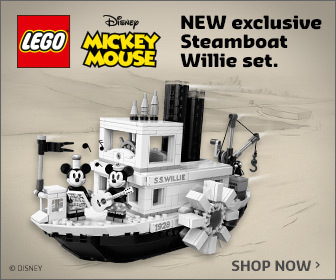 If you don’t own it already, the LEGO BOOST Creative Toolbox is available now. The LEGO Boost is an introductory robotics product that will introduce young kids to robotics and programming and serve as a stepping stone to LEGO’s more robust robotics kit, LEGO MINDSTORMS. 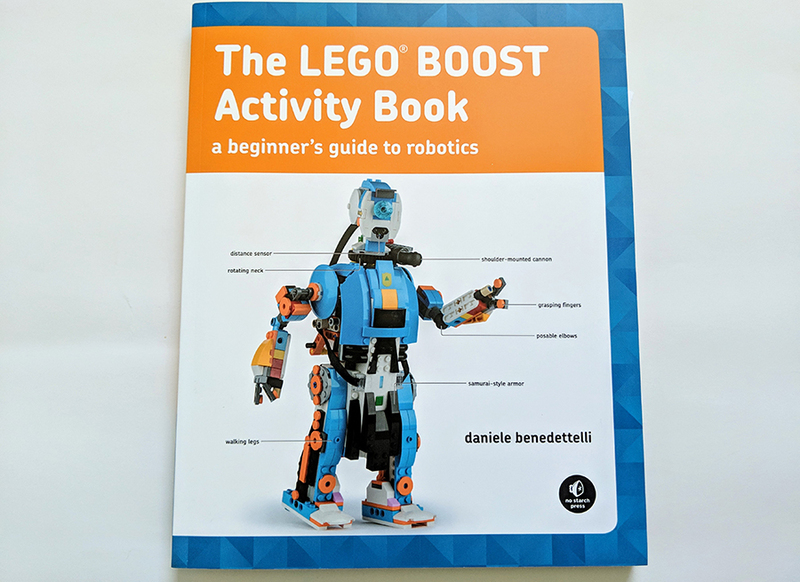 The LEGO Boost kit is shipped without an instruction manual, and has no printed materials included; enter The LEGO Boost Activity Book: the best learning resource available for the LEGO Boost Kit. 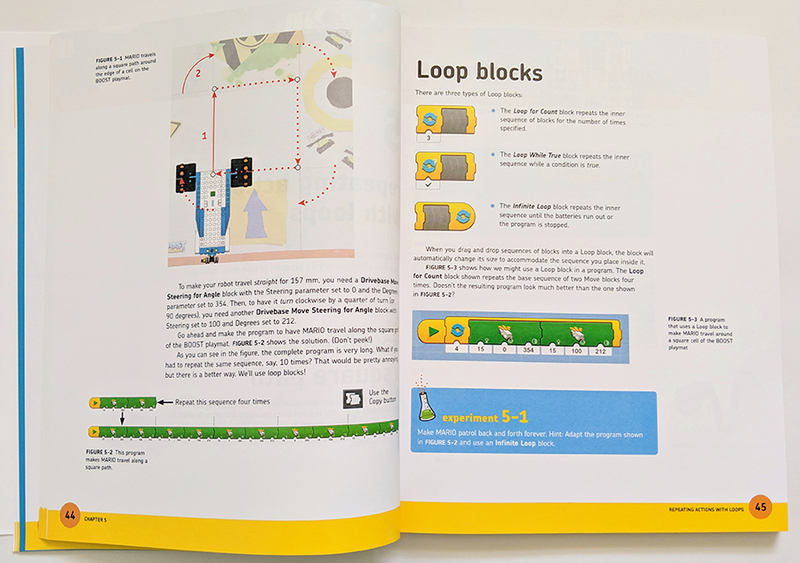 In The LEGO Boost Activity Book, readers will learn the ins-and-outs of building and programming their Boost robots, including how to build and program a basic rove, control the flow of their programs with wait, switch, and loop commands, use sensors to trigger events which react to light and color, plus a tool that allows their creation to lift and move objects around, and how to shoot darts at a target. 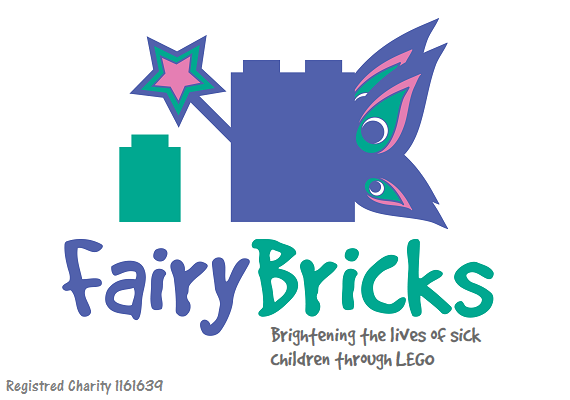 After learning the basics, readers will learn how to build a Brick-Sorting Bird and program it to sort LEGO bricks by color, a turtle that walks, turns, and reacts when someone approaches it too fast, and a machine that draws and writes on paper using a common pen. LEGO BOOST is an intriguing system, which combines System bricks, Technic elements and the new BOOST elements including the Move Hub, a sensor and a smaller motor. 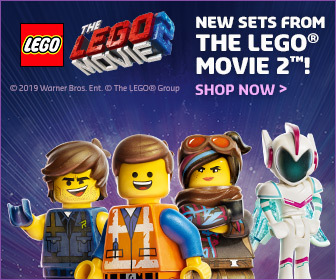 When combined they can provide an impressive array of functions. 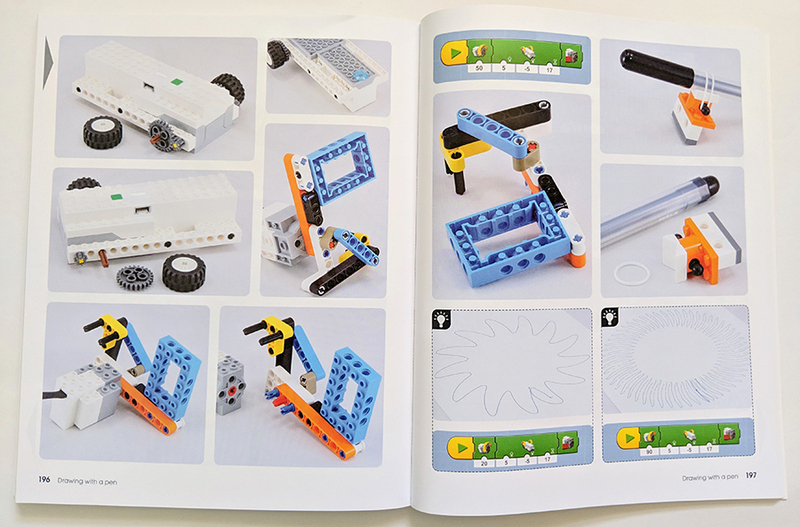 In The LEGO Boost Activity Book, you get to learn how to combine these elements to make brand new builds. There are in-depth instructions for two builds, but the book is a great resource for learning the best ways to get the best from BOOST. 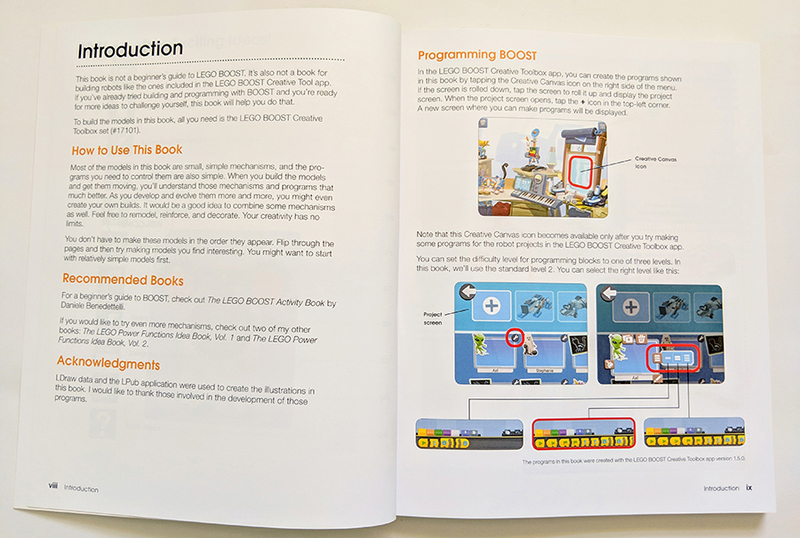 The first half of the book offers a detailed look at how the programming side of BOOST works. Using a simple robot called MARIO, you’ll get to grips with the coding. Then you’ll be shown how to combine elements to create working builds. It’s the perfect companion for those who have exhausted what the Creative Toolbox has to offer. Although BOOST is a fairly simple system getting the best out of it, isn’t easy. 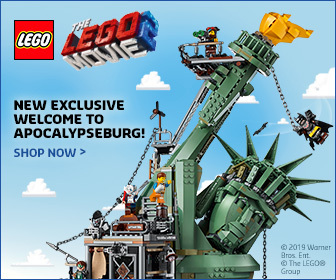 This book is the perfect way get more from LEGO BOOST. I especially like how well the instructions are presented. 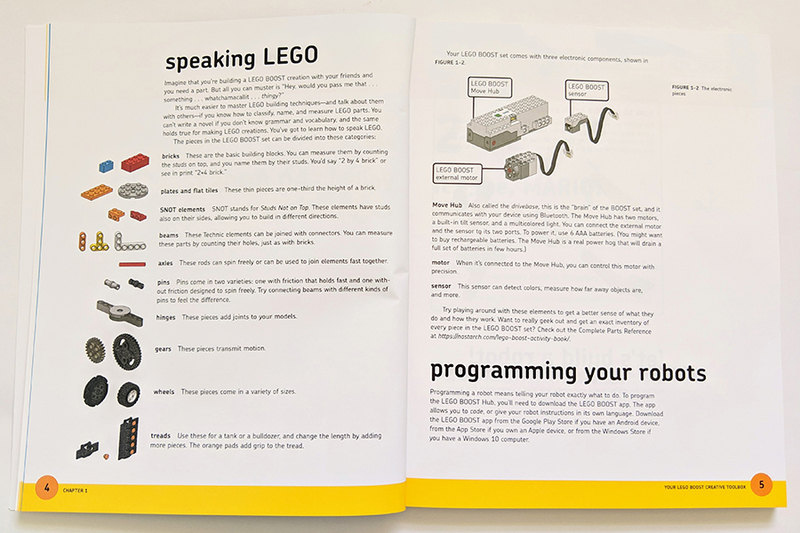 The LEGO BOOST Idea Book explores 95 creative ways to build simple robots with the LEGO BOOST set. Each model includes a parts list, minimal text, screenshots of programs, and colorful photographs from multiple angles so you can re-create it without step-by-step instructions. You’ll learn to build robots that can walk and crawl, shoot and grab objects, and even draw using a pen! Each model demonstrates handy mechanical principles that you can use to come up with your own creations. 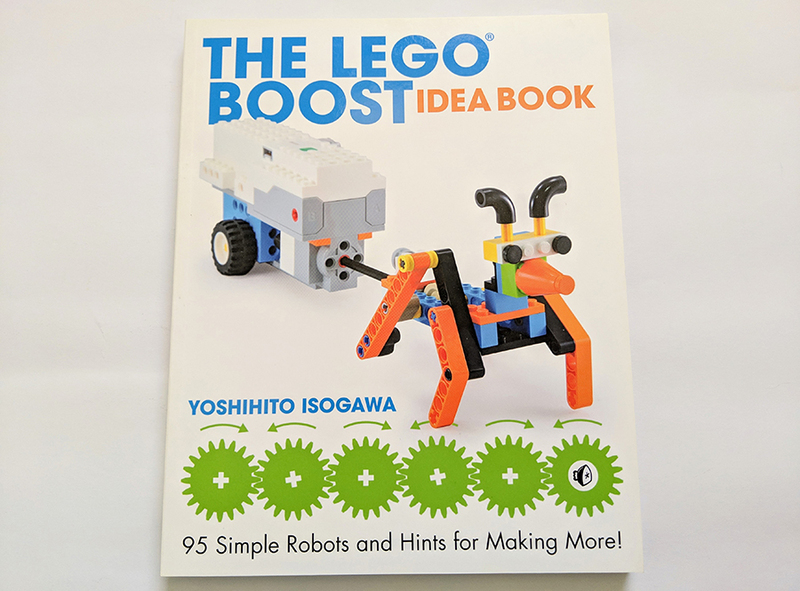 Unlike the book above, the LEGO Boost Idea Book is a little more simplistic and a great next step for those just starting out in getting creative with LEGO BOOST. Each inspirational build, is accompanied by a visual parts list, most of which can be found in the Creative Toolbox set. The build process is shown via a series of images, although they don’t show each build step in detail, they are clear enough understand where elements are needed to be placed. 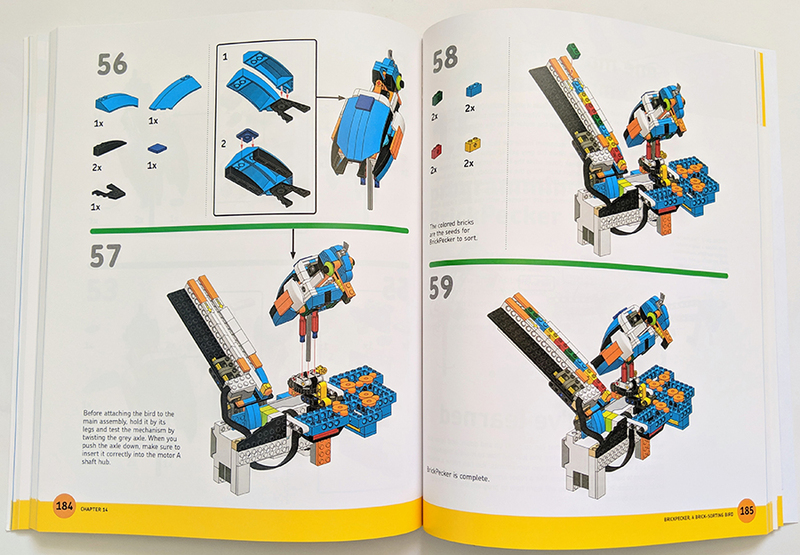 Each build can be programmed using the LEGO BOOST app, with the book showing what string of code you’ll need to get your creation working as intended. 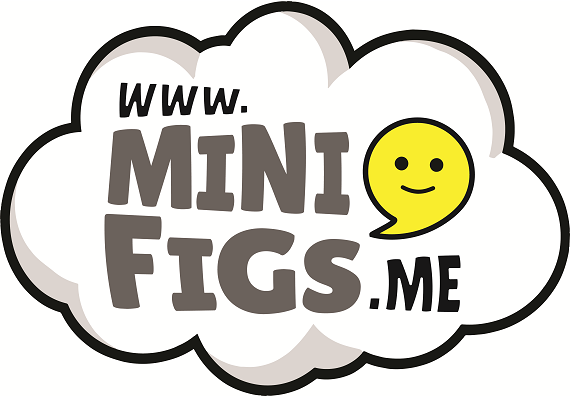 Although the builds and their functions are simple, they are a great starting point to spark creativity for those who have already built all the Creative Toolbox has to offer. 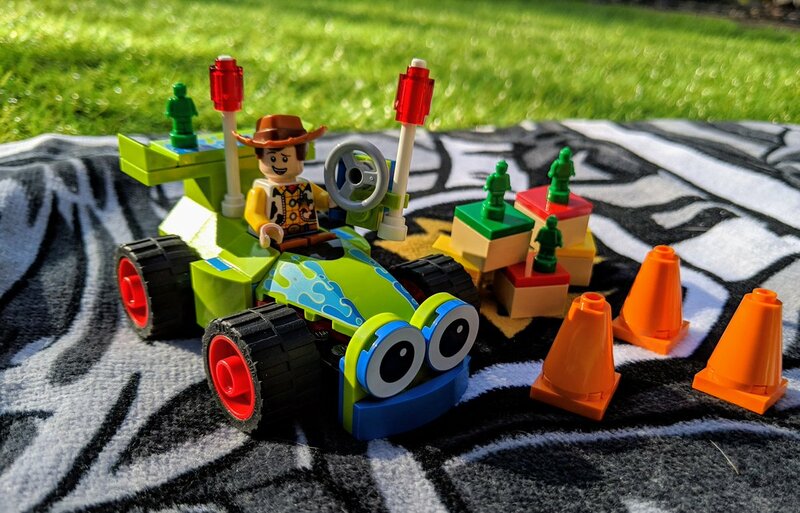 It’s also a great resource to help create your own functional builds with the LEGO BOOST components. These books were provided by No Starch Press for the purpose of review. 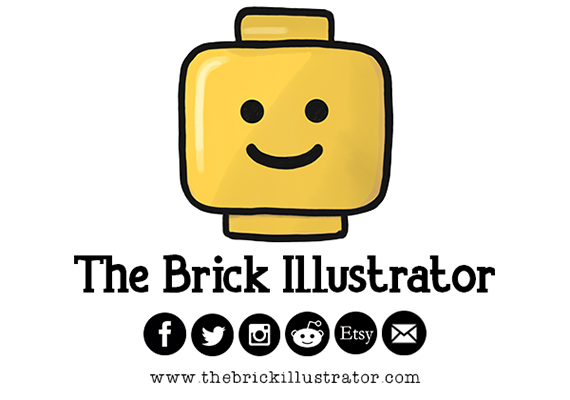 The opinions expressed in this review are that of BricksFanz and do not reflect those of No Starch Press or the LEGO Group.